Since black is a neutral color it matches all kinds of colors. 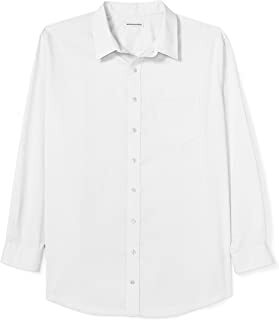 Black jackets can be worn over a white T-shirt, a black graphic Tee, a gray t-shirt, a striped sweater, a plaid shirt, etc. 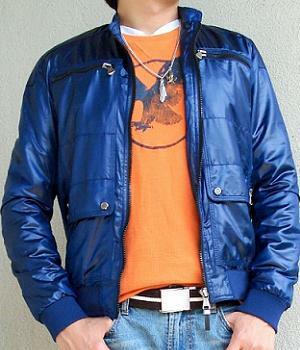 The style of the jacket is the KEY to make you look right or wrong. Again a stylish jacket should be matched with a plain inner top. And a plain looking jacket should go with a stylish inner top. 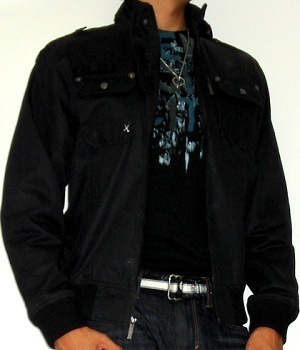 Photo #1 is a plain looking military jacket worn over a black graphic t-shirt. This is because you don't want your tops to look overly complex! What do Black Jackets Look Great with? A black jacket looks especially great with white and gray color t-shirts. 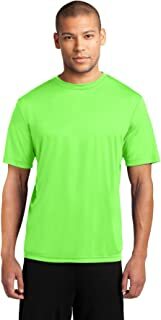 In general dark colors should match with light colors so that the whole image looks in balance. 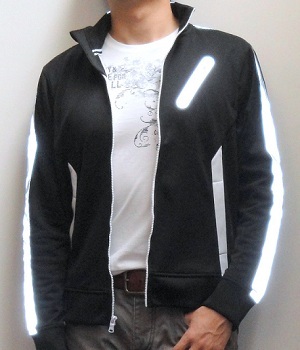 Photo #2 is a black track jacket paired with a white graphic tee. 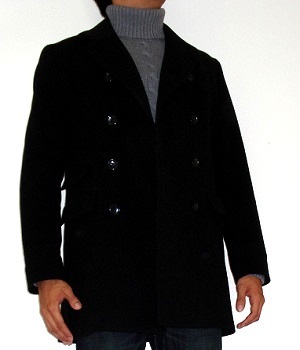 Photo #3 is a black pea coat and a gray turtleneck sweater! 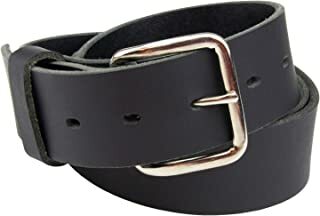 As mentioned black is a neutral color. It matches non neutral colors such as blue and purple. 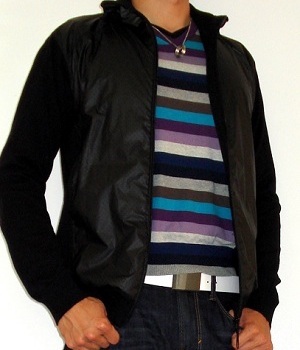 Photo #4 is a case in point where a black jacket is worn over a purple blue striped sweater. If all the colors you wear are dark the whole appearance looks heavy and serious. However if the occasion is proper you can do it. For example you can wear Photo #1 on a motorcycle ride. You appear sharp looking. On the other hand a black jacket and a light colored t-shirt such as a white t-shirt make the appearance contrasting and interesting!